We’re tracking down InVision users inside the world’s most amazing companies to discover their favorite tools, inspirations, workspace must-haves and the philosophy behind what makes them so awesome. This week, we chatted with Adam Shutsa, VP of Design at 500px (pronounced “five hundred pixels”), an online photography community where aspiring and professional photographers show off their best work to garner social feedback and and gain inspiration from fellow shutterbugs. On a high-level, I work with the product and design teams to imagine, define and design the awesome products we have on 500px.com, our mobile apps, and 500px Prime, which is our commercial licensing site. I also work with the executive team to help build the company vision and goals. From a day-to-day standpoint, I work with all the UI and UX designers and product managers to solve user problems and get rid of as many roadblocks as possible to make sure we are producing really excellent, world-class products. What’s the most inspiring thing about working with your team? Everyone here loves to learn. When you go beyond what you think you can do, you grow as a designer and as a person. We like to look at our last piece of work and ask, how can we do better? How can we become the best team? Also, it’s inspiring to learn from each other, especially since we each focus on different areas. For example, our mobile designer will show me something and I’ll say, “I had no idea, that sounds amazing. I can’t wait to see that built.” Or my web designer will show me something he worked on in the past and it will just blow my mind. All that learning and discovery is really fun. It’s a huge jump to go from designer to manager. Is there anything unique about managing a team of designers? 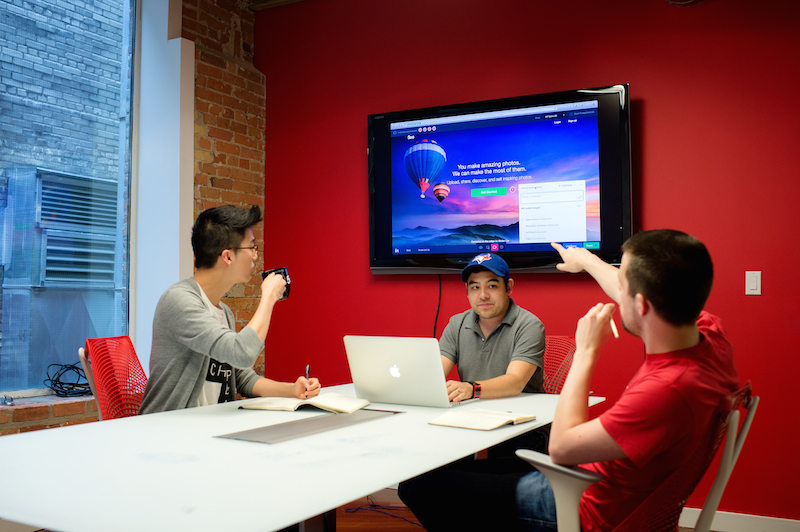 We use InVision during our user testing sessions. It really helps us iterate and test faster. When I was younger, I had various ideas of what I wanted to be when I grew up, like being an architect or a chef. They all shared one thing in common: they were all creative. I also had a huge interest in computers. One of my earliest memories, actually, is sitting at a Commodore 64 playing games with my dad. During high school I think those two interests naturally crossed. I was lucky enough to figure that out pretty early and realize that this is what I wanted to do. There’s a lot of discussion today about whether you need a design/art degree. How do you feel about formal educations in design? I definitely think it helped me, though I can understand why it wouldn’t be for everyone. Going to school for design taught me the basics. It helped me understand that if you want to break the rules, you first have to learn the fundamentals. I was also able to spend those years really honing my skills before I felt I was ready to have a career. These days, sure, you can take a course online, or you can dabble here and there, and you may get good really quickly. However, I think there are still some very important things that you will be missing out on. We have a great office in downtown Toronto that we moved into at the end of last year. The building was built back in 1833 so it has a great atmosphere. 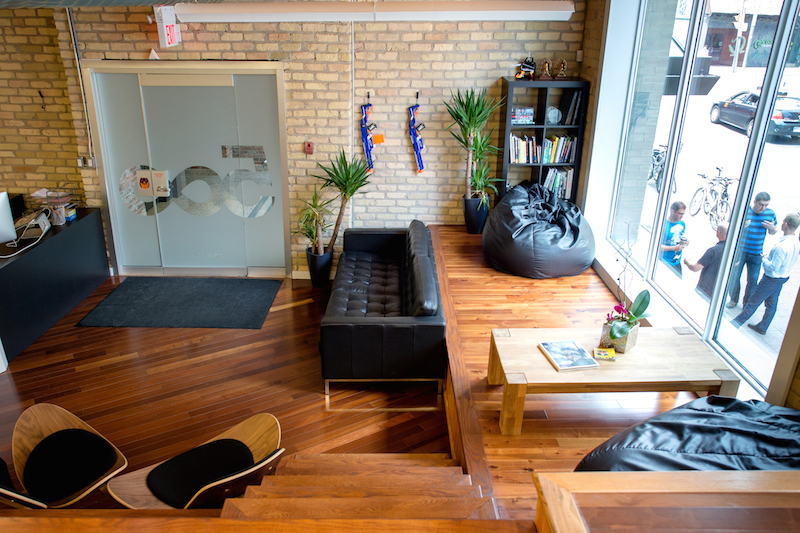 We have a nice open concept for the main work area, and a ton of breakout rooms and lounges – so if you need some time alone or in a small group, there’s a place for you to go and relax. Communication is a huge deal when you’re working in a startup because we’re moving so fast, but need to stay on the same path. So, instead of being tucked away in cubicles or far apart from each other, we’re all close together enough that we can communicate easily. We have our lunches catered Monday through Thursday, so everyone gets to stick around and have lunch together. Some of the best ideas tend to happen when we’re sitting around the table talking during lunch. We also have a kitchen with an espresso maker, so everyone gathers around that. I think that’s the new water-cooler moment – gathering around the espresso machine. 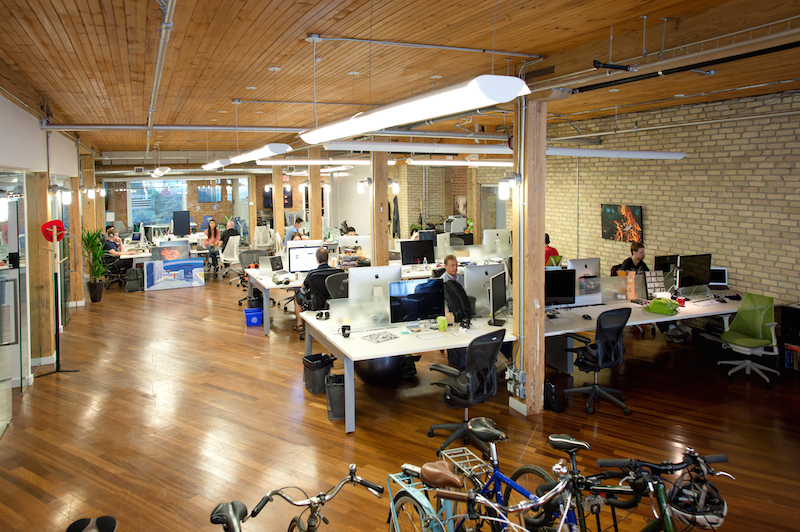 Our office definitely has a great atmosphere to collaborate and the really high-quality culture every team strives to have. Being young and ambitious, you always think you have the right answers – you don’t. What are the key skills and capabilities to be good at what you do? What makes a good designer? Communication is huge, whether that’s communicating through your design to give the user the best experience, or talking about your ideas with other designers. All of our designers get together each week in our Design Review to say, “This is what I’m working on. This is what I want to accomplish. This is what I’m struggling with.” We’re able to share ideas back and forth. You have to be willing to push through problems. A lot of what designers do is just solving problems. Sometimes you’ll come to a point where you feel like you can’t figure it out, but you need to be confident in yourself. You will find a solution. How do you know when you’re going in the right direction with your design? We get our direction through feedback from our community. As a team, we do lots of user testing and get user feedback through iterative designs. We’ll push out fresh ideas to our ambassadors and beta testers to help figure out what works and what doesn’t. When it comes down to it, our community are the reason we’re here. We want to build a great product, but first, we make sure it’s the right product for our community. Also, collaborating with other members of the team helps us stay on the right track. Not just the design team, but across the product team, tech team, marketing, business development, and customer service. Anyone can have a great idea, and part of our job is to gather all those ideas from all those different parts of the company and see what exactly will work and then help build that vision. How does InVision fit in as part of that workflow? InVision fits into our workflow very well. Before InVision, we’d put something together and maybe the other designers would see it. Now designers can send their mockups to InVision where everyone can have a look. Every team member gets to have a glance at what we’re building before it gets pushed live. That’s the best way to get feedback and make sure we’re on the right path. It’s also great at keeping all the discussion available, and in the open – rather than having these ad hoc discussions that may not be captured and eventually forgotten about. It’s all captured right into InVision. You come back to it at any time. We also use InVision during our user testing sessions. It’s very easy to create multi-page, interactive workflows using hot spots. It really helps us iterate and test faster. What is the one thing you wish you knew before you started your design career? Being young and ambitious, you always think you have the right answers – you don’t. When I was starting out I wish I had made more of an effort to hear what other people had to say. If you have the answer, stand your ground, but leave room to learn from other people. This is especially true when you’re in a startup team like 500px. We’re all building the same project. We’re all trying to get to the same goal. So just allow yourself to learn and build off each other. Stick to your goals. Keep learning. Don’t get set in your ways too quickly. What’s the creative community like in Toronto? 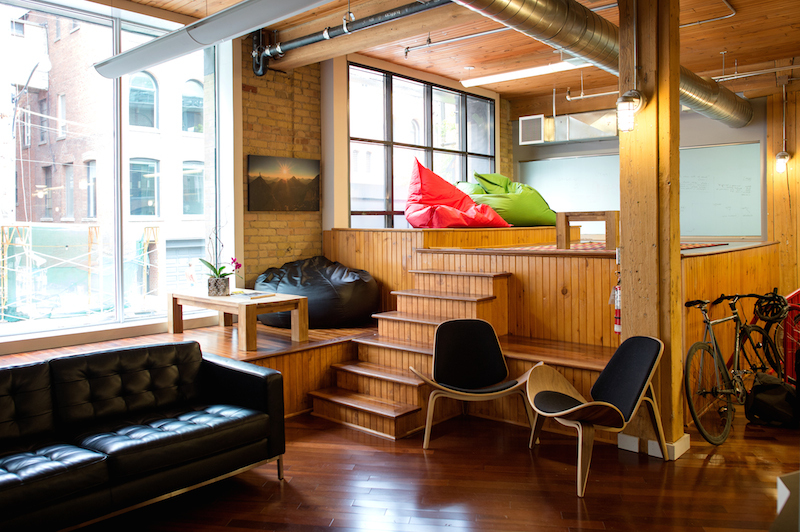 Toronto has one of the best, if not the best, communities for startups. There’s a half-dozen different creative companies within a few block radius of 500px and we all talk to each other. We all share ideas. It’s great to hear how other teams are doing, what works for them, how we solve some of their problems. 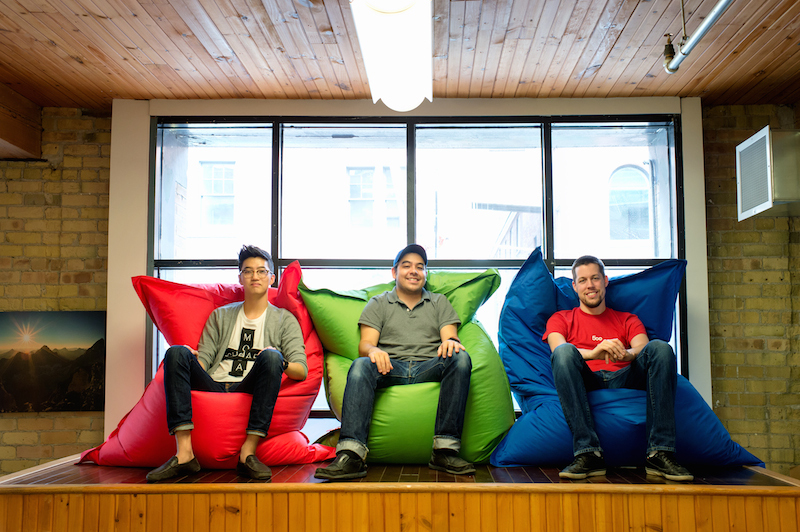 Toronto has a great resource for startups and for designers to learn from each other. There’s are always meetups and get-togethers happening – it’s a great place to learn, to grow, and to be part of the startup atmosphere. It’s easy to be inspired by the great design talent in Toronto who are never afraid to share ideas. Is there anywhere else you look for design inspiration? I love my walks to and from work. I only live 20 minutes away from the office, so on my daily commute I’m constantly looking around at different things. I go from an old part of Toronto to downtown Toronto, and it’s great to see all the new and different architecture, to see one building was build in the ‘20s and one in the ‘80s and all the new construction going on. It’s also a nice time to be quiet and to think about the day coming up and some of the problems you may have or some things you want to solve, or, on the way home, you can wind down. I also happen to work at a great photo company, so it’s no surprise that I’m inspired by the photos I see everyday. Whenever I’m staring at 500px I’m constantly blown away by the quality of the photos. Our community are passionate photographers and know what high quality means. They expect the same from us. So I get a lot of motivation from them. They care a lot about their photos, so whatever we design, whatever we build, needs to help make their work look the best it can. What are some other tools you use in your design process? We love to start with whiteboarding – most of the available walls here are whiteboards. It’s a great way for anyone to share their ideas. We also do a lot of wireframing. Personally, I use a simple pencil and paper – I think it’s the easiest way visualize what’s in my head and quickly tweak them. Other people use Balsamiq. It’s up to the designer. When it comes to the mockups, Photoshop is, obviously, the standard. We’re comparing it to Sketch and some of the other newer mockup tools and design tools. We also do a lot of designing in code. Because animations and transitions being a key part of how a UI works, sometimes static mockups just aren’t enough. Finally, the design team use Dropbox to share all of our assets to make sure we’re all in sync. What advice would you give to other designers who want to achieve similar accomplishments to yourself? It’s hard work! But it’s worth it to keep going. Stick to your goals. Keep learning. Don’t get set in your ways too quickly. Keep an eye out for what makes a good designer and what you admire about the people you work with, and learn from them. All designers start with an unquenchable thirst to get better: Great designers keep that feeling alive.